How do I control record location settings for an app? 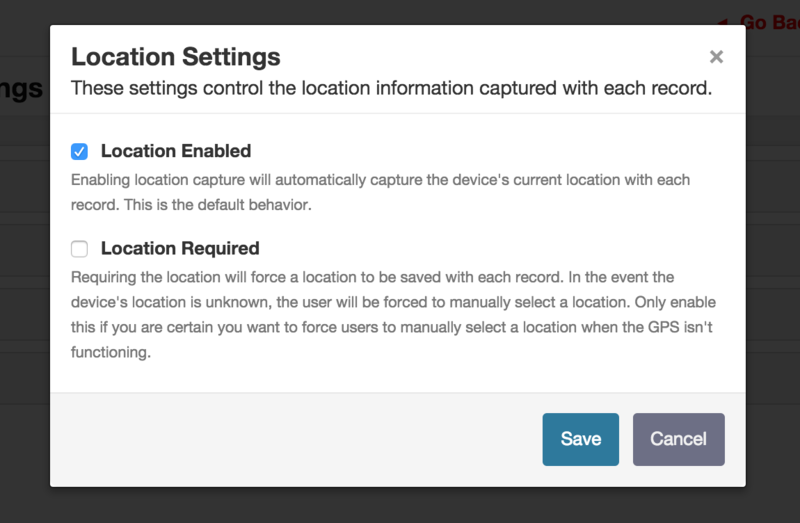 How to control record location settings for a Fulcrum app. 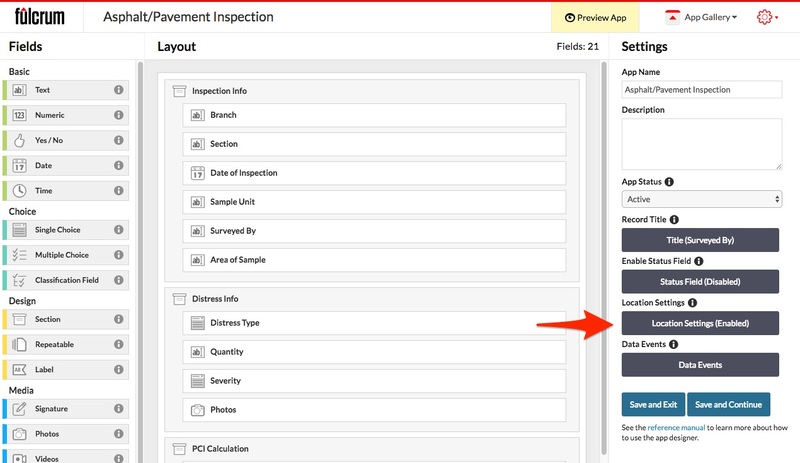 When using the App Designer, you can optionally control whether the records within your app have location data captured along with the form data. This is useful if the data you’re collecting is indoors, or otherwise doesn’t need to have GPS location information collected with it. These settings are available in the sidebar of the App Designer page. When collecting location data is enabled for an app, you can also make location data required. This will prevent the user from saving the data if the device cannot determine its current location, and require the user to manually set the location for each new record. 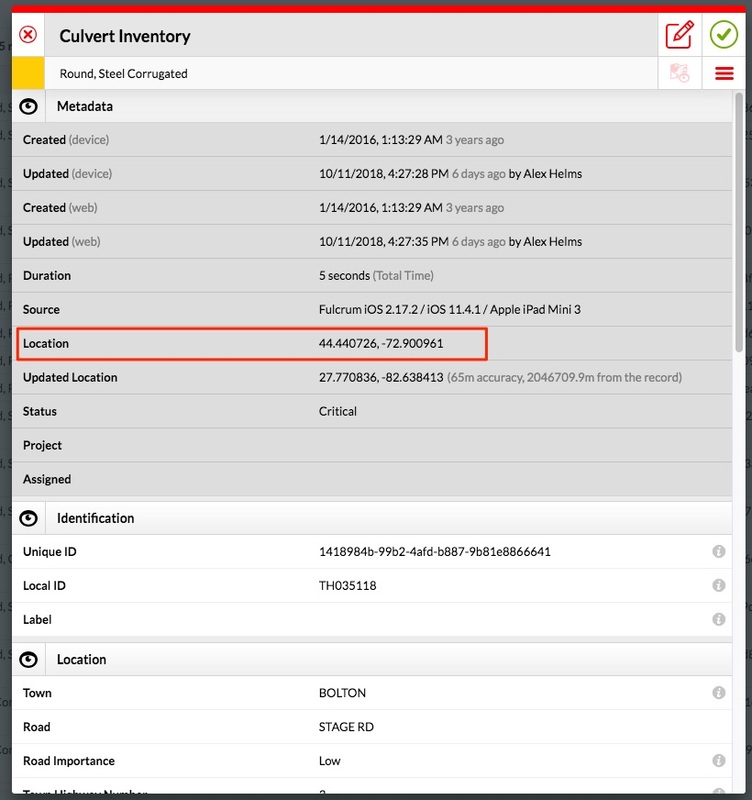 When location is enabled, the records will have latitude and longitude columns in the metadata section of the record on the web app and have the coordinates displayed within the set location pages (Android, iOS) of the Fulcrum mobile apps.